New measures designed to improve patient safety and protect doctors and nurses when mistakes are made, are to be announced by the Health Secretary Jeremy Hunt. 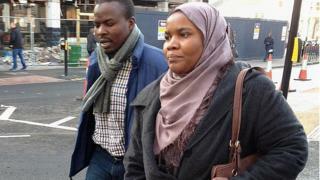 It comes after concerns were raised following the case of Dr Hadiza Bawa-Garba, who was struck off after the death of a six-year-old boy. Mr Hunt said staff should be able to learn from their mistakes. Hundreds of medics also signed an open letter in support of Dr Bawa-Garba. She was found guilty of mistakes in the care of six-year-old Jack Adcock, from Leicestershire, who died of sepsis in 2011. Following a government review ordered by Mr Hunt, new measures are being introduced. Professor Norman Williams who conducted the review said that "a clearer understanding" of when manslaughter charges should be brought in healthcare "should lead to fewer criminal investigations". Professor Williams said criminal investigation should be confined "to just those rare cases where an individual's performance is so 'truly exceptionally bad' that it requires a criminal sanction". Dr Bawa-Garba was originally suspended from the medical register for 12 months by a tribunal, but was then removed from the medical register following a High Court appeal by regulator the General Medical Council. The GMC said the the original decision was "not sufficient to protect the public". But the health secretary says improving patient safety means doctors and other staff must be able to reflect openly and freely when they have made ordinary mistakes, instead of being punished for them. "I was deeply concerned about the unintended chilling effect on clinicians' ability to learn from mistakes following recent court rulings... the actions from this authoritative review will help us promise them that the NHS will support them to learn, rather than seek to blame." Doctors say medicine is about balancing risk - and that mistakes will happen. The British Medical Association, representing doctors, said that it would be monitoring closely how the law was applied in the light of the review's recommendations. The Department of Health and Social Care said the changes would mean bereaved families would get more information about the circumstances of their loved ones' death and more data would be shared across the NHS to help prevent avoidable deaths in the future.